Are you ready for some football? 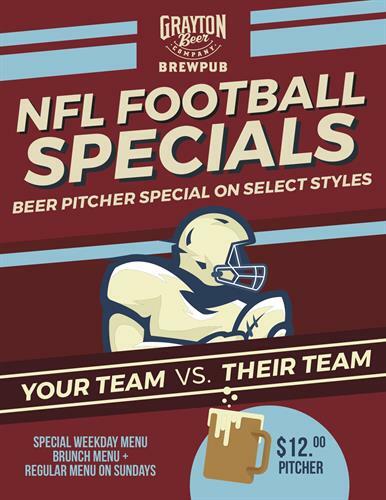 Grayton Beer Brewpub is streaming weekly NFL games throughout our restaurant. Outfitted with ten big-screen TVs, we're tuning in to watch your team. Celebrate with $12 pitchers plus menu specials. Grayton Beer Brewpub is open daily at 11AM.